This handout was provided by Linda Swimm, a private practice therapist, at the workshop titled "Children's Services" at the Virginia Department of Social Services Office of Family Violence Promising Practices conference held on September 16, 2013. 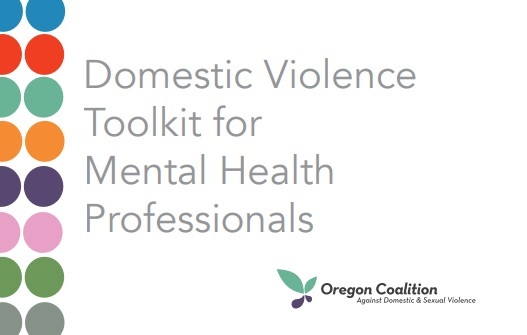 The Oregon Coalition Against Domestic & Sexual Violence (OCADSV) provides a toolkit for mental health professionals to better understand the links between mental health and domestic violence. It examines how DV is expressed and what that poses for those who are impacted by these forms of DV.